The 2019 Jeep Grand Cherokee performance features take the rugged tradition of this legendary lineup to soaring new heights. While the latest Grand Cherokee has all of the grit and gusto that you’ve come to expect from the Jeep brand, daredevil drivers can also opt for the adrenaline-surging performance from the Trackhawk and SRT trim levels. Check out the Jeep Grand Cherokee performance features below, and take a look at our current Jeep Grand Cherokee inventory to see what catches your eye. Whether you choose the Laredo or the Overland, you’re in for one phenomenal ride. The 2019 Jeep Grand Cherokee performance features begin with a sensational engine. The base 3.6L Pentastar V6 generates 295 hp and up to 260 lb-ft of torque, which translates to a whopping 6,200-pound towing capacity! But the available 5.7L V8 engine takes power up a notch with a 360-hp performance, 390 lb-ft of torque, and up to 7,200 pounds in towing prowess. Add in options like Jeep Brand 4×4 systems for extra off-road chops and optional Off-Road Pages to view your Jeep’s driving stats in real time! If you crave the type of heart-racing performance that you can’t find just anywhere, the Trackhawk and SRT trims just might be your destiny. The Grand Cherokee SRT offers a truly thrilling 475-hp 6.4L V8 engine and Brembo brakes that stop on a dime. 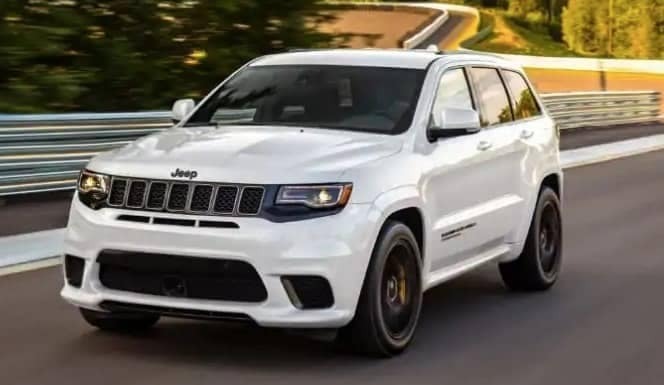 The Trackhawk is a beast of a Grand Cherokee, accelerating from 0 to 60 mph in just 3.5 seconds. This powerhouse model has a 707-hp supercharged 6.2L V8 with Bilstein Adaptive Suspension for optimal handling. Plus, the Jeep Quadra-Trac Active On-Demand 4×4 system has a full-time active transfer case to optimize grip while you navigate both on- and off-road conditions. We’ve highlighted some of the performance specs of the new model, but we haven’t even gotten to the Grand Cherokee interior and technology. To truly appreciate the 2019 Jeep Grand Cherokee, you’ll need to take a test drive! 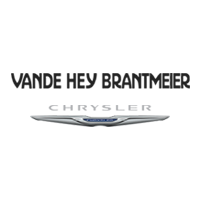 Get behind the wheel today at Vande Hey Brantmeier Chrysler Dodge Jeep RAM. Our experts would be happy to help you find the right Jeep for your wants and needs, so contact us today!